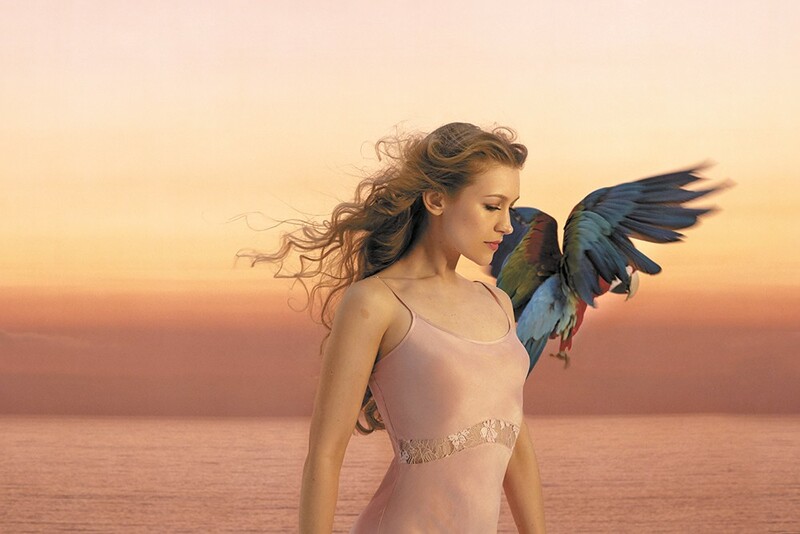 Joanna Newsom headlines The Bing on March 31. I first heard Joanna Newsom's voice one night at Tacoma Youth Symphony summer camp, hanging out with fellow string players. When the discussion turned to a copy of Newsom's debut record The Milk-Eyed Mender, someone quickly dug out a CD player. This was 2004, after all. The dorm common room soon was filled with a voice unlike any other — at once alien and precocious, confidently switching to a stunning lyrical vibrato. Pair that with fantasy-story lyrics and instrumentation featuring the harp, piano and harpsichord, and the music jarred all of us. Some stifled laughter, while others found it glorious. With Newsom's sound, people normally fall into two groups: Those who get it — her superfans are known as "the delvers" — and the folks who'd like the music to stop now, thank you very much. It wouldn't be until college that I'd grow comfortable with her peculiar compositions. Last year, Newsom surprised fans by releasing her first album in five years. Divers is compositionally similar to her three previous efforts, yet naturally more mature. Here, the 34-year-old delves into her marriage with actor/comedian/Lonely Island rapper Andy Samberg, if only in understated lyrics. The album was her most successful to date, hitting No. 30 on the Billboard charts, and this year she's headed out on tour, with a stop at the Bing Crosby Theater next Thursday night. Over the past decade, Newsom has convinced even the most hardened of music critics that she was more than some freak folk experiment. She contributed vocals to the 2011 The Muppets movie and made an appearance on Portlandia. Last year, director Paul Thomas Anderson (Boogie Nights, There Will Be Blood) helmed her "Sapokanikan" music video. Newsome has more than made it as an indie culture darling, and she did it by staying true to herself. Here's a look at what makes her music tick. As Newsome's story goes, the Northern California native wanted to learn the instrument at 5, but the local harp teacher didn't take young students, so she plunked away on piano instead. She got her first full-size pedal harp in seventh grade and hasn't looked back since. Even within the orchestral world, harp players are a rare, mostly female, breed. For example, the Spokane Symphony's own principal harpist, Earecka Tregenza, is spread thin teaching at all the local universities, as well as serving as a substitute for the Seattle Symphony. The harp is a fickle instrument that's incredibly sensitive to temperature, and can take an hour to tune if not cared for daily. Hauling one around to concerts and gigs is never an easy feat, as harps are disproportionately weighted and awkwardly shaped. But once set up correctly in a master's arms, the instrument can transport listeners to a heavenly soundscape. "It's worth all of the work to get that sound," Tregenza says. With Newsom, the classical technique is apparent, and Tregenza says that fellow harpists are quite approving of her work. "Her music is innovative and soulful, and when she plays, her classical background shines through," Tregenza says. When Newsom performs, it's important to watch her face. She'll often move her lips to one side of her face or arch her tongue inside her wide-open mouth. She sits up straight, as proper piano and harp technique dictate, and rocks forward and back to propel the sound out of her throat. She once described her voice as "untrainable," and indeed, it does have an avant-garde quality that a vocal teacher wouldn't approve of. In the beginning, critics used terms like "childlike" and "elfin" to describe Newsom's chattering vocals, and the comparisons upset her. Similar artists, like Devendra Banhart, were considered psychedelic, but she was described as a girlish waif stuck in a dreamland. In 2009, she developed vocal cord nodules. After not speaking for two months, they healed, but her voice mellowed somewhat. When she released the staggering, 18-track album Have One On Me in 2010, her music was praised for seeming more grown-up. Fewer critics referred to her as a woodland creature. Lyrically and musically, Divers was a whole new animal for Newsom. Not only did it take her four years to properly flesh out the prose-filled tracks, but she also brought in eclectic instruments, including Wurlitzer and Baldwin Discoverer organs, a clavichord and a Rhodes piano. During the writing process, she tried to avoid listening to other music (a near-impossible task) as to not be overly influenced. Clearly, the record sounded like nothing else last year — no one else managed to rhyme "Sapokanikan" with "Ozymandian," after all. Her lyrics tell stories of soldiers and war and regained love. The words are a far cry from Newsom's simplistic "Peach, Plum, Pear" off of her first album. The end result is a sweeping masterpiece, which made many Best Albums of 2015 lists.